Eight people died in Faizabad and Unnao, two deaths each were reported in Gonda and Rampur, and one each in Auraiya, Hardoi, Meerut, Etah, Kaushambi and Ghazipur. 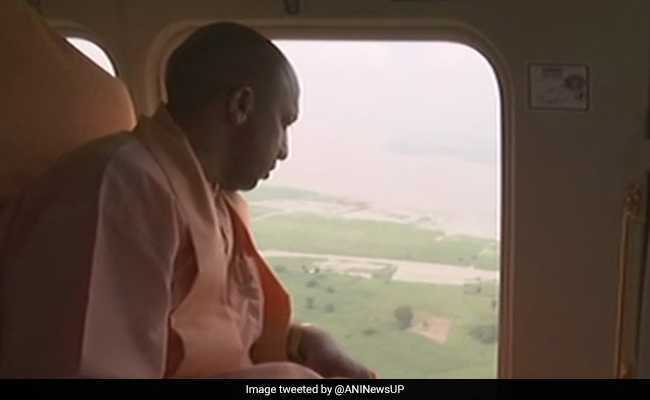 Chief Minister Yogi Adityanath undertook an aerial survey of the flood-hit areas. At least 18 people have died in rain-related incidents in Uttar Pradesh since Wednesday night, taking the toll in different parts of the state since September 1 to 76, officials said on Thursday. Eight persons died in Faizabad and Unnao, two deaths each were reported in Gonda and Rampur, and one each in Auraiya, Hardoi, Meerut, Etah, Kaushambi and Ghazipur, officials said. Forecasting heavy rain in isolated areas and light to moderate thundershowers at many places in the next couple of days, the Met office said south-west monsoon was active in the state. The Central Water Commission said all the major rivers were flowing in spate. Ganga, Ram Ganga, Sharda, Ghaghra and Quano were flowing above the danger mark at different places, they added. Chief Minister Yogi Adityanath undertook an aerial survey of the flood-hit areas of Basti, Gonda, Barabanki and Sitapur districts and also distributed relief material to the people , officials said.